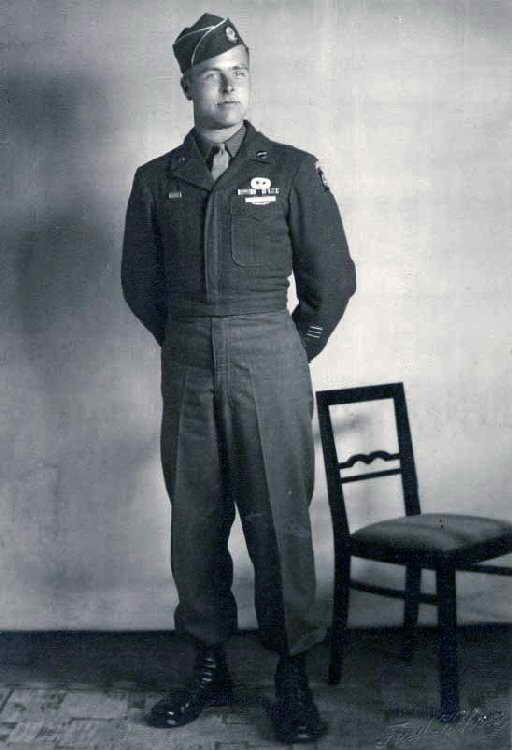 These remarks made by Gen. Dwight D. Eisenhower, Supreme Allied Commander, prior to the launch of the Allied invasion of Normandy, still carry weight to this day for one of the soldiers he was addressing, the now 93-year-old George Shenkle. 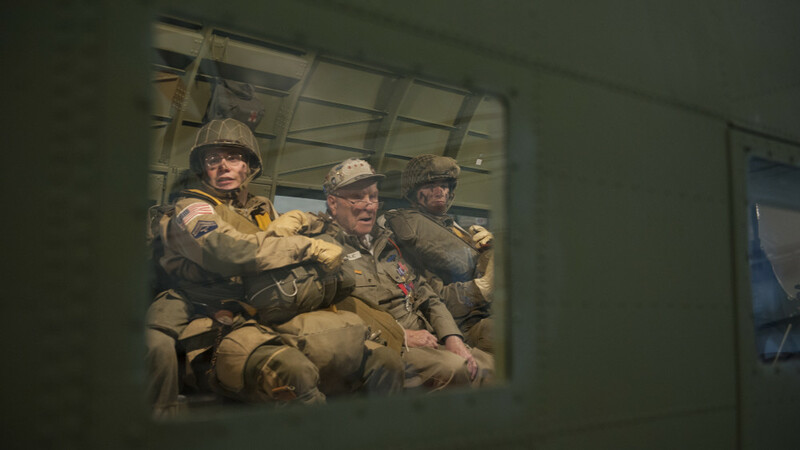 Seventy-one years after jumping into Nazi-occupied France and history, with eyes of the world set upon him and his comrades-in-arms, Shenkle, formerly of Easy Company, 508th Parachute Infantry Regiment, 82nd Airborne Division, reunited with the very C-47A Skytrain that he jumped out of April 18, 2015, at the Air Mobility Command Museum near Dover Air Force Base, Delaware. 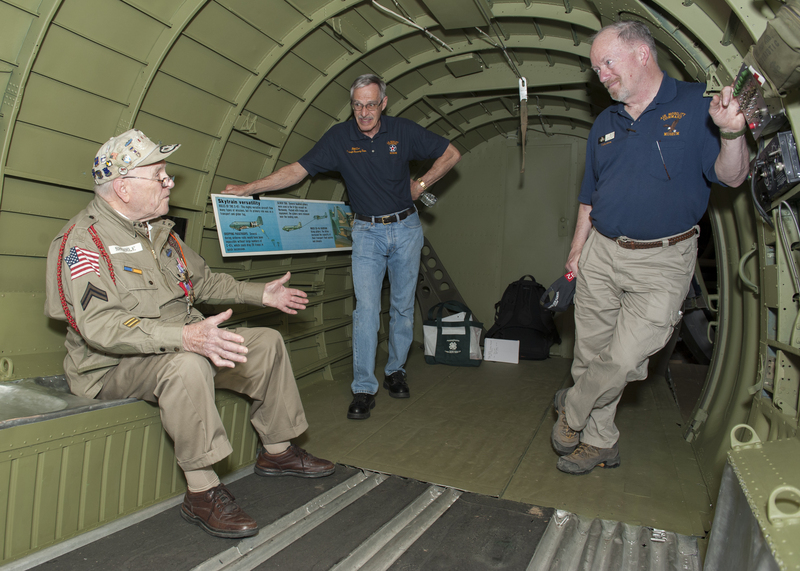 Shenkle travelled from his home in Pennsylvania to visit the Douglas C-47A Skytrain, #42-92841, known as the “Turf & Sport Special,” cargo plane that is permanently on display inside the AMC Museum. During his visit, Shenkle took time to talk with and pose for photos with countless museum visitors and volunteers. 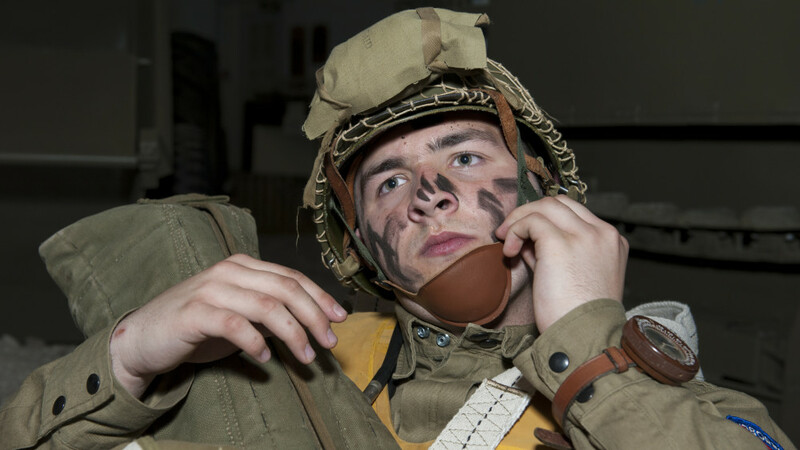 One of the museum volunteers who spoke with Shenkle, retired U.S. Army Col. Bob Leicht, is part of an all-volunteer team of aircraft restorationist. They have spent the past several months to bring the C-47 to the configuration it was in on D-Day. But for Leicht and many of the other volunteers, having Shenkle visit the aircraft was the final piece to a larger puzzle. Shenkle himself, was impressed with the condition of the aircraft. 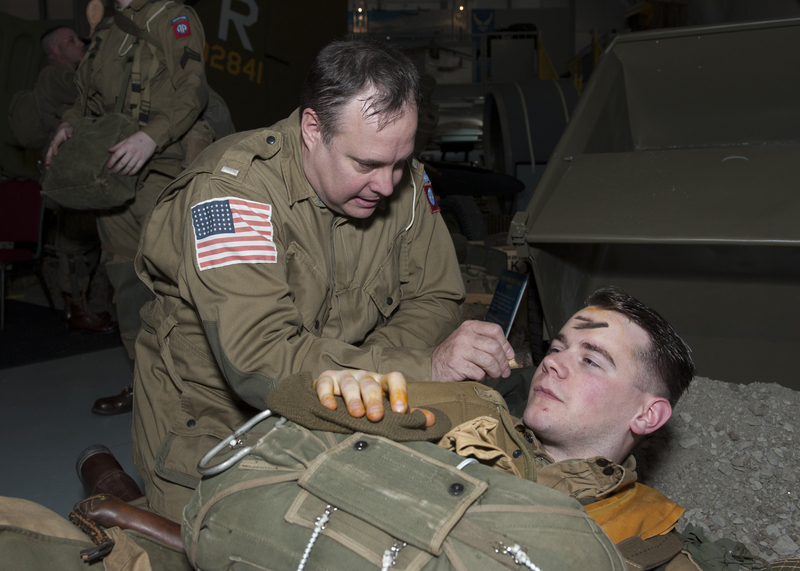 A highlight for all those who attended the event was the involvement of a group of World War II-era 82nd Airborne Division re-enactors. 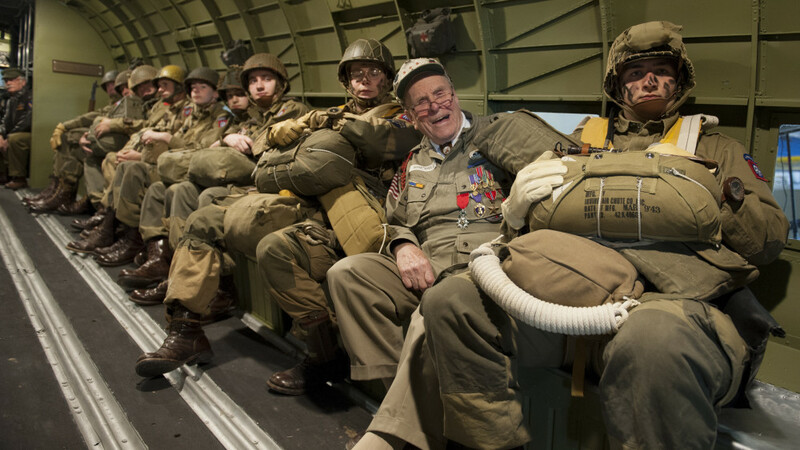 The nine re-enactors came dressed in the same uniforms and were equipped with same weapons and materials, as were the paratroopers who jumped on June 6, 1944, over Normandy. The re-enactors boarded the C-47 with Shenkle to pose for photos, allowing the veteran to sit in the same seat position that he did on D-Day, position number three. 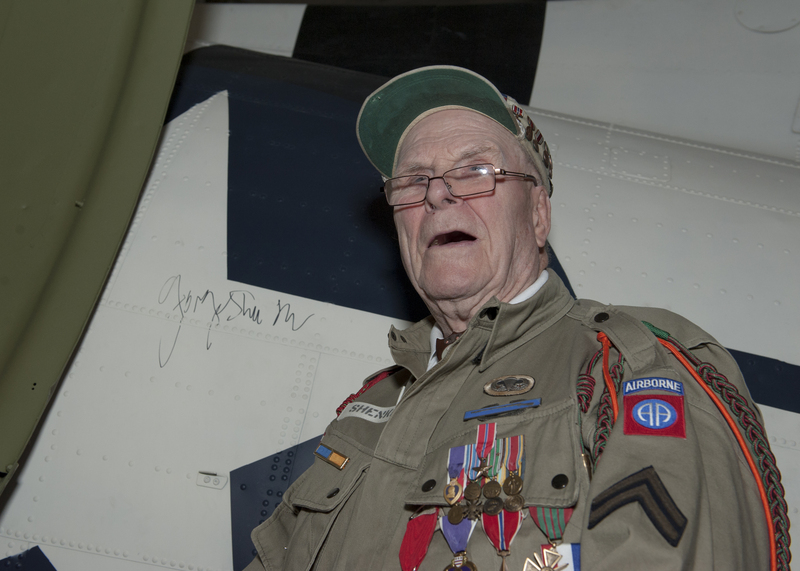 Shenkle maintains an active lifestyle, participating in various World War II ceremonies and reunions throughout the U.S. and Europe, including visiting Normandy every June 6th, for the anniversary of his jump. Events like this, Shenkle’s visit, are becoming fewer and farther between as America’s World War II generation of veterans is decreasing each and every day. 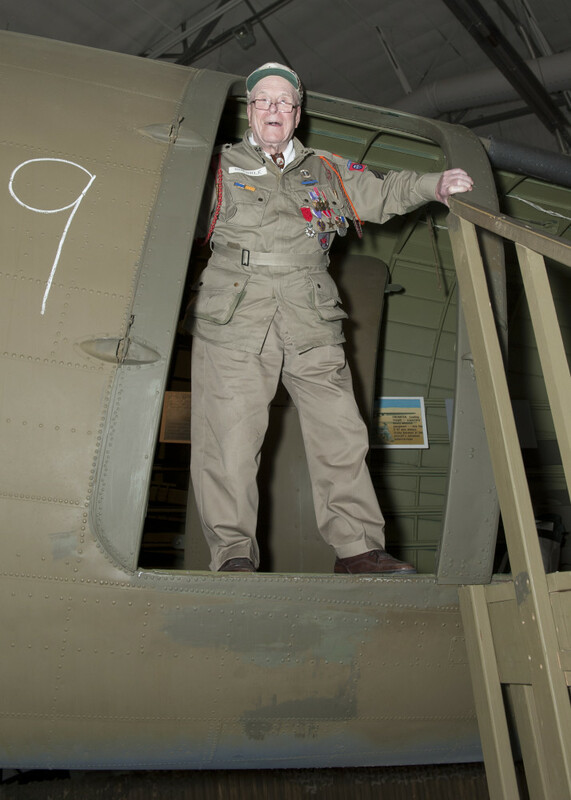 It’s wonderful that Mr. Shenkle was allowed to assume his position on the aircraft that he had during D-Day. What a thrill it must have been to see the re-enactors participate in what his life was on that day and on the same plane. 6 June 1944 – D-Day- is probably the most important day of the 20th Century – as far as Europe is concerned. It was the committment of USA ‘GIs’ who made the essential difference. They got stuck in big time – God bless them all. They are not forgotten and never will be. My son was part of the USAF Maint. crew that removed these seats from a bomber at his NM base. His grandfather (shares same name) was on one of the navy patrol craft that led the landing craft onto the beach that day 71 years ago… so proud of both of them and everyone else involved in this historic project. Thank You all! With such a rare opportunity of having a Veteran sit in the same aircraft as he did from the war, I hope you gave him the opportunity to autograph it somewhere! !